Status: Inactive; Active 1984-1991. Born: 1945-12-21. Spaceflights: 1 . Total time in space: 9.09 days. Birth Place: Mineral Wells, Texas. Educated Tarleton State; Texas Woman's. Born December 21,1945, in Mineral Wells, Texas. Married; her husband, George Fulford is a retired Captain with United Airlines. Her daughter is married and lives in Mill Valley. Recreational interests include scuba diving, swimming, gardening, photography, computer graphics and boating. Her father is deceased, her mother still resides in Mineral Wells, Texas. Graduated from Mineral Wells High, in 1962; received a bachelor of science degree in Chemistry and Biology from Tarleton State University in 1968, and a Ph.D. from Texas Womans University in 1972. Member of the American Association for the Advancement of Science, American Society for Gravitational Science and Biology, American Society for Bone and Mineral Research, American Society for Cell Biology and the Association of Space Explorers. 1995 Organizing Committee for the International Conference on Eicosanoids and other active Bio-lipids; 1995-Present Advisory Board for Marine Biological Library Sciences Writing Program, Woods Hole, Mass; 1994 Marin County Woman of the Year, NASA Space Flight Medals (1991); 1987-1990 Member of Committee on Space Biology and Space Medicine, National Research Council; 1986-1989 Board of Regents Embry-Riddle University, Daytona Beach, Florida; l984 Presidential Award for Federal Employee for Western Region; 1972 American Association of university Women's Fellowship; 1968-1971 National Science Foundation Fellow (Graduate), 1965 National Science Foundation Summer Research Fellow (Undergraduate). Dr. Hughes-Fulford entered college at the age of 16 and earned her BS degree in chemistry and biology from Tarleton State University in 1968. After graduating from Tarleton State University in 1968, Dr.Hughes-Fulford began her graduate work studying plasma chemistry at Texas Woman's University as a National Science Foundation Graduate Fellow from 1968-1971 and an American Association of University Women fellow from 1971-1972. Upon completing her doctorate degree at TWU in 1972, Dr. Hughes-Fulford joined the faculty of Southwestern Medical School, University of Texas, Dallas as a postdoctoral fellow with Marvin D. Siperstein. Her research focused on regulation of cholesterol metabolism. Dr. Hughes-Fulford has contributed over 70 papers and abstracts in the areas of bone and cancer growth regulation. She was named the Federal Employee of the Year Award for the Western Region in 1985, International Zontian in 1992 and Marin County Woman of the Year in 1993. She was a major in the US Army Reserve until 1995. 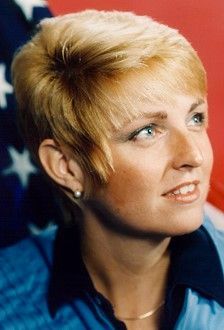 Selected as a payload specialist by NASA in January 1983, Dr. Hughes-Fulford flew in June 1991 aboard STS-40 Spacelab Life Sciences (SLS 1), the first Spacelab mission dedicated to biomedical studies. The SLS-1 mission flew over 3.2 million miles in 146 orbits and its crew completed over 18 experiments during a 9 day period bringing back more medical data than any previous NASA flight. Mission duration was 218 hours, 14 minutes and 20 seconds. Upon her return to Earth, she served as the Scientific Advisor to the Under Secretary of the Department of Veterans Affairs for 3 years. Today, as a Professor at the University of California Medical Center at San Francisco, Dr. Hughes-Fulford continues her research at the Department of Veterans Affairs Medical Center, San Francisco as Director of the Laboratory for Cell Growth and Differentiation and as a principal medical investigator. She is currently the Deputy Associate Chief of Staff at the VA Medical Center, San Francisco. In addition to her duties as the dACOS/E, she is continuing her studies of the control of human colorectal cancer growth with the VA and the regulation of bone growth with NASA. She is also the PI on a series of SpaceHab/Biorack experiments examining the regulation of osteoblast (bone cell) growth regulation. The experiment, OSTEO flew on STS-76, in March of 1996. OSTEOGENE was on STS-81 which flew in January, 1997. OSTEOMARS is manifested on STS-84 scheduled to fly in May, 1997. The experiments are designed to examine the activation of bone cell growth and induction of gene expression in microgravity. These studies should help scientists understand the osteoporosis that occur in astronauts during spaceflight. Family: Astronaut. Country: USA. Flights: STS-71-E, STS-81-M, STS-40. Projects: STS. Agency: DVA. Bibliography: 12, 5541. 1945 December 21 - . Birth of Dr Millie Elizabeth Hughes-Fulford - . Nation: USA. Related Persons: Hughes-Fulford. American biologist payload specialist astronaut 1984-1991. Biochemist. US Army 1 spaceflight, 9.1 days in space. Flew to orbit on STS-40 (1991)..